Day 30: “Come one, come all! 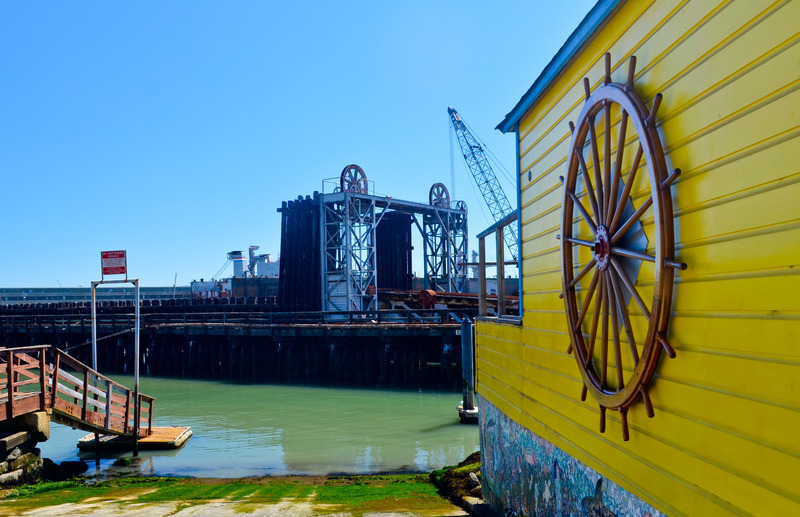 The more the merrier!” – The San Francisco Bay Trail: It's Closer Than You Think! The focal point of this journey was about bringing the Bay Trail and its sights, sounds and smells to you. To inform, inspire, and encourage you to explore your own backyard in ways you previously had not imagined – and to do so on public transportation (preferably with a Clipper card), not your car. I had lofty expectations about how this message would be spread and they were exceeded beyond my wildest dreams. The local press found the story compelling and, as a result, the Bay Trail was thrust into millions of living rooms throughout the Bay Area. Mission accomplished. After three-hundred and fourteen miles, thirty days, and over fifteen thousand website page views from twenty two countries on six continents, this journey comes to an end. The celebration began well before the finish was official. Familiar faces awaited me by McCovey Cove with AT&T Park glimmering behind it in the late morning sun. As I approached the final mile, Bruce Beyaert appeared from the shadows of a pier side warehouse and surprised me from behind. Four outlines that appeared a few hundred yards beyond him were distinctly familiar yet unexpected. As I got closer and they came into focus I noticed that my sister, Diane Bosley, and my nieces Madeline and Julia and nephew Parker, made the drive from Sacramento to surprise me! Just behind them were my mom and sister, Karen Walker, who came in on BART from Walnut Creek. I am assuming she used a Clipper card! My wife (and proof-reader), Linda, whose support and encouragement propelled me out of bed for thirty consecutive days, walked with me for the first time on my last day with our miniature poodle, Oscar Wilde, in tow. Brenda Kahn from the MTC and friends Kacy, Mel and Karen were on hand to carry me across the finish line should I have an unfortunate accident in the last three miles. And even more supporters – including my dad and Bay Trail Project Manager, Laura Thompson – were waiting at the finish with a congratulatory banner stretched across the sidewalk during a very busy Saturday morning at San Francisco’s Ferry Building. From beginning to end, this trek involved many days alone on the trail and still more with new friends like Carolyn Balling of Team-N-Training, Bay Trail trekker Corinne Debra, and Bruce Beyaert of the Trails for Richmond Action Committee. I didn’t meet any of them until they joined me on the trail but after a few hours of hiking I felt like I had known them for years. Still more people, like Karen Larson, found me mid-hike and made sure I truly experienced such local treasures as the Albany Bulb. The unsung heroes of my journey are the complete strangers who I have not had the pleasure of meeting in person but who reached out in emails to offer thanks for what I was doing. They got it. They understood. This trek inspired them to the point where they took the time to let me know it – which is a lot in today’s world. That meant the world to me. Seeing those words fueled each day more than all the water, energy bars and bananas I consumed in the past thirty days. Knowing that my journey inspired just one of them, made every mile, every blister, every “mystery pain” worth it. I couldn’t have said it better myself. With that I sign off – for now. Next postThank You Bay Area Media!